Un-Social Media is Killing Our Mojo! 6 Things YOU can do to make social media serve YOU instead of own YOU! All of these Social Media sites and more are keeping us from connecting in real life! We are fast becoming a head down, disconnected, distracted, and over-whelmed humanity. 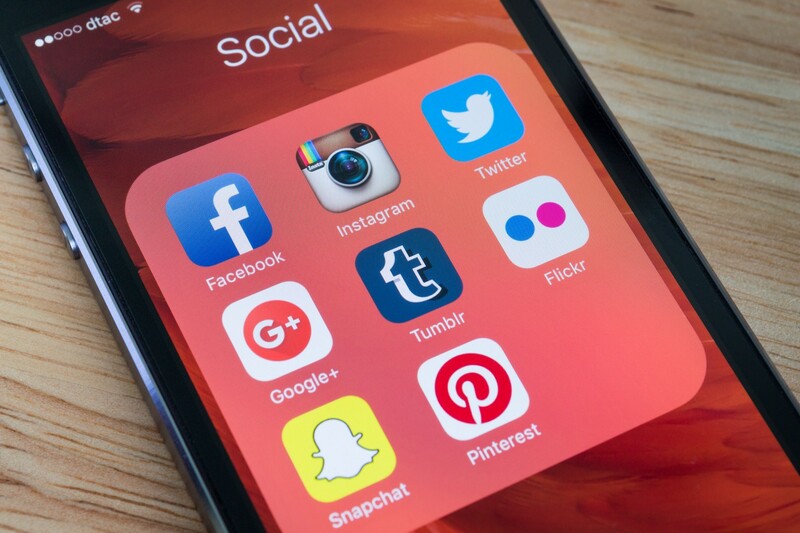 These amazing Aps designed to serve many purposes, often called social media because the intent of their design is for the subscriber to be more connected to their social community, are slowly but surely resulting in the opposite affect. Un-social media! People struggle with the concept these days of actually having undistracted conversation with one another. We are less deeply and personally connected than we have ever been, and we seem to grow more disconnected by the day. Communication has always been one of our weaknesses as a whole, because we tend to come into communication with all sorts of bias filters that define our perspective in conversation (and thus our reactions good or bad), and we also love to talk about ourselves or hear ourselves more than we like to hear the person across from us. So now that we don’t have to talk to one another face to face, we are choosing more and more not to talk to one another at all! We are fast becoming textologists, tweeters, Instagramaholics, snapchatters, and Facebookies to name a few. Swipe right, swipe left. Imogi, bitmoji and x-mojis I probably haven’t heard of yet are consuming our lives. There is plenty of new research coming out on the effects of social media on our physiology. The reactions of our hormonal system such that tweets and texts and all that instant messaging is like an addictive drug in our system, creating the similar dopamine responses as seen with the use of the likes of sugar or cocaine! We are fast becoming addicted to this un-social media and it seems we are paralyzed, even socialized away from stopping it. Well, I have several strategies I’d like to suggest for the use of social media that might possibly help it serve YOU rather than control YOU! Make a business of social media. Use social media in every, and any form to create and deliver business strategies. If you are going to be using it regularly you might as well have it serve you in a way that it provides or results in revenue. There are a myriad of ways to use social media to drive your business ventures and using it in this manner makes a great deal of sense. Make it work for you, not against you. Plan social media. Create your daily schedule for using social media. Instead of reacting to it, or allowing yourself to be attached to it constantly throughout your day, decide what times of the day make sense for you to check it and respond to it. Train your friends and colleagues to expect your responses within that schedule, and not immediately upon their text or message to you. Social media is unfortunately self perpetuating, you send a text, you expect one back, your friend expects another response and on and on, the less immediately forthcoming the less expectations are brought to bear, and the less anchored you are by those expectations. Even when you are using it for the practicality of organization or planning, when you’ve completed the task, or connected with the person you are meeting with face to face, then put it away. Focus on the human connection, not the digital connection. Don’t check social media when you wake up or before you go to bed. When you wake up do things that help you prepare for your day. Breath, stretch, meditate, journal, script your day, make a good breakfast, connect with family, whatever it is, stay away from your social media until your day is well on its way. When you do connect with it, respond to the necessary notes and move on with your day. Don’t get linked into useless conversations from the day before that are likely not productive, or valuable. When you are working towards sleeping shut your media off long before bedtime. A good rule of thumb would be an hour before you plan to sleep. Take the time to wind down, disconnect with all media, read a book, breath, meditate, or journal about the positive things you experienced in your day. Turn your phone off in meetings. If you are having a meeting with someone actively shut your phone down or put it in a place, like a brief case, purse, or backpack so it is out of site and out of mind. Don’t leave it on the table as that just tells the person you are meeting with that the phone could be more important than them. Take the time to listen intentionally to the party you are meeting with, you’ll be surprised how valuable and productive your meetings become when you are not distracted. Keep your phone in your pocket when out for dinner with a friend or family member. Take the time to really connect with the people you are out with, after all, if you are constantly on your phone all you are saying to the person you are with is that whoever you are chatting with on the phone is more important than them, and that shouldn’t be the case, right? Post less about things you are doing that are awesome, and more about things that might contribute to the growth or happiness of others. Use social media to serve others, not yourself, and you will be surprised how good you feel inside. Life is about your self-discovery and your contribution to others, the more you make your social media use serve this purpose, the more it will be a vehicle of value rather than a vehicle of ego. This wonderful influx of technology that has allowed us to be connected to one another 24/7 needs to be shaped into our lives and defined by its purpose through our definition, not the definition of those who create it. We must be the gate keepers of our time, and the time we have to connect to others in a real and personal manner must become more sacred and less disposable. Put un-social media in its place!